Looking for a Nursery Place? Then look no further. We have places available for children aged from 2 to 5 years. Children benefit from dedicated, qualified staff and fantastic facilities. Visits are welcome at any time during Nursery hours. 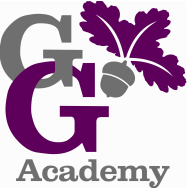 Please contact us to make an appointment on 01280 813273 or email the school office office@grenville.bucks.sch.uk We would love to meet you. Prospective parents are always welcome to stay and play with their child at one of our sessions. Our Nursery provision was inspected by Ofsted in January 2018 and received an Outstanding report - please click here if you would like to read it. ﻿It is our aim to provide an environment rich in experiences to allow caring practitioners to nurture the development of each individual child. By treating each child as an individual, regardless of race or gender, we provide the opportunity for children from 2 to 4 years of age to explore and enquire in a safe, happy and secure learning environment. We follow the Early Years Foundation Stage Framework 2012 and as such our nursery provision is closely linked to our Foundation 2 class which eases the transition into school. Children are offered a principled play based approach to learning and development as it has been shown that young children learn successfully through play. The children have a safe and secure indoor and outdoor environment to explore.